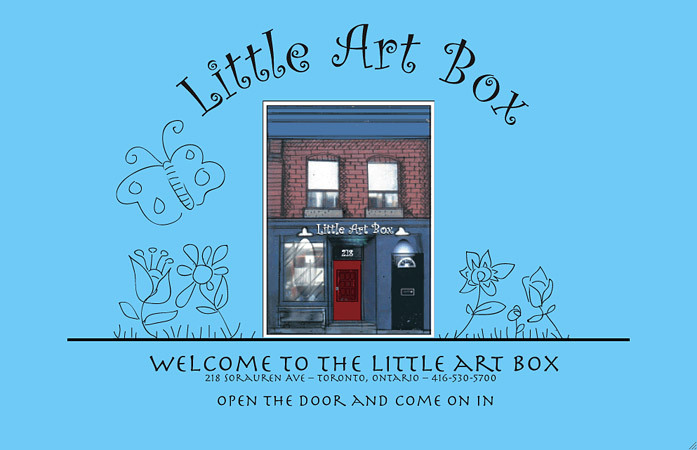 Little Art Box is a community-based arts and crafts studio providing extracurricular classes for school age children, summer and holiday camp programs, and school-based instruction. 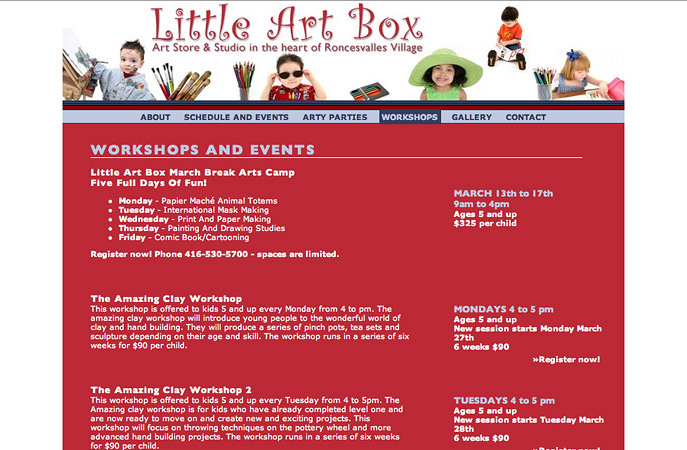 The Little Art Box website includes an events calendar, workshop descriptions, online registration forms for workshops and "Arty Party" birthday parties, and a photo gallery. The workshops listings provides detailed descriptions of arts and crafts programming, as well as date, time, and registration information and a quick link to the registration form. 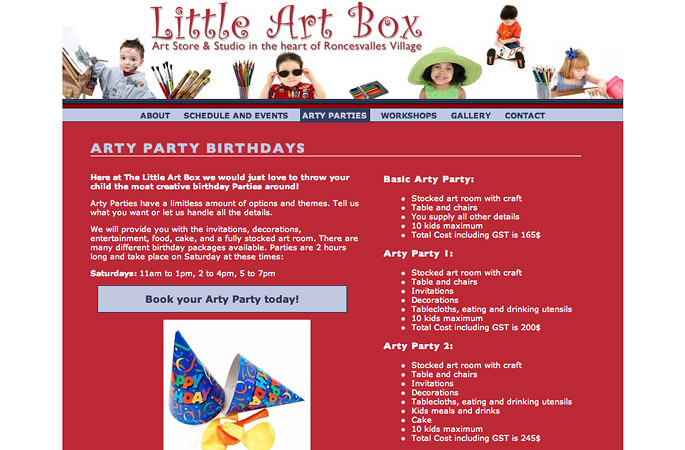 Online birthday party descriptions and registration forms streamline bookings. Each booking is added to the events calendar so that booked time slots are publicly visible, reducing and simplifying communications between parents and employees. The online photo gallery features work created by children at the studio and provides an ongoing, informal documentary record of studio-community interactions.